Being the first born, Erol has the largest, biggest and strongest frame of his siblings. With large, and broad paws and an overall quite well built physique for a pup. Erol´s fur is rather rough than fluffy, though it is still soft to touch. 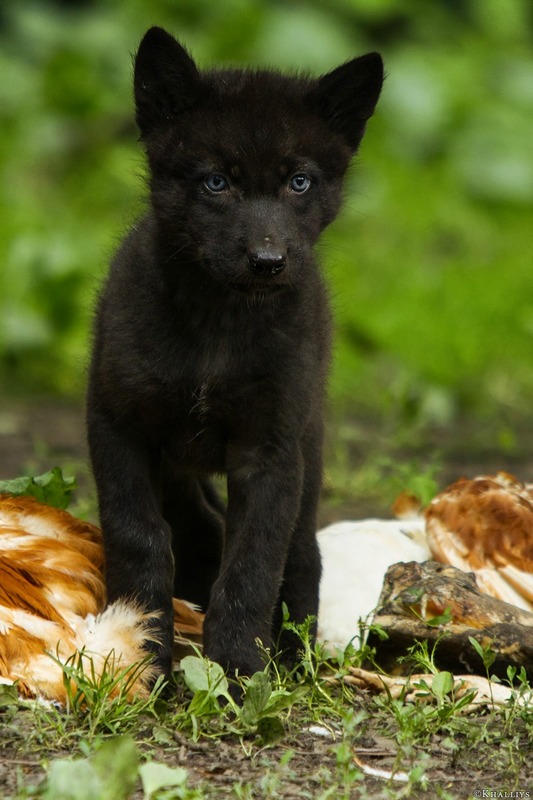 An obsidian black coat hue. The same coloring as his mother´s; a soft, tiffany blue. Erol is quite aggressive and hot-headed, and because he's the first born, he feels like he's entitled to... well, almost everything. Even so, deep down he loves his siblings and feels like it's his responsibility to keep them safe. He loves to dominante his siblings, since he´s first born, he consider´s himself as the strongest and best of his siblings. Don´t understand Erol wrong, he ain´t arrogant, he just wants what he thinks everyone´s due to him; Acknowledgement. But overall, he loves his siblings, especially Cress, even though she is always challenging the first born. Erol is the first born of Verine and Cassiel. 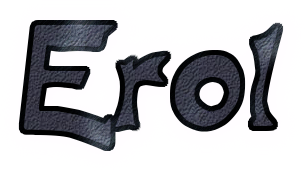 Erol´s odor is a mix of lavender, with the weak extra of ash.